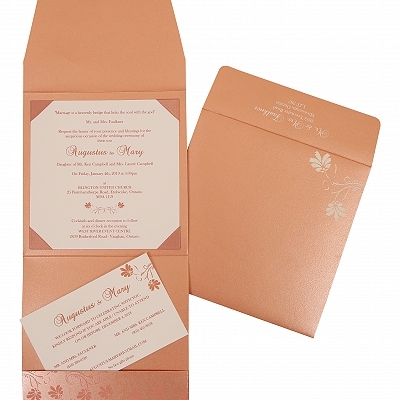 Hindu Wedding Invitations: To Cherish your Hindu Weddings. 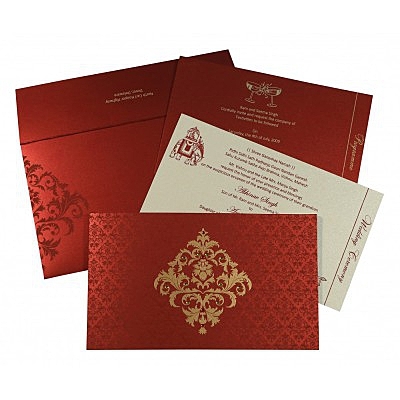 You are planning an ideal hindu marriage and now you are looking for a perfect marriage invitation that hallmarks all those rituals and customs, which result in the eternal bonding, affection and blessings. 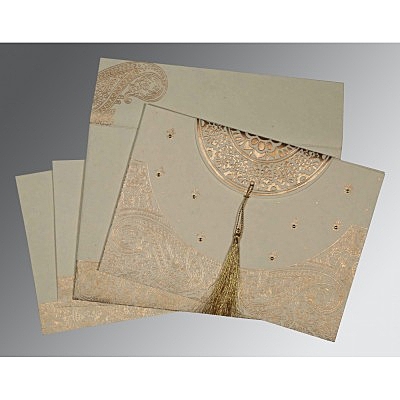 In such a case, choose from our vast and authentic collection of Hindu Wedding Cards, which are exclusively crafted to meet all your Hindu Wedding Invitations requirements. 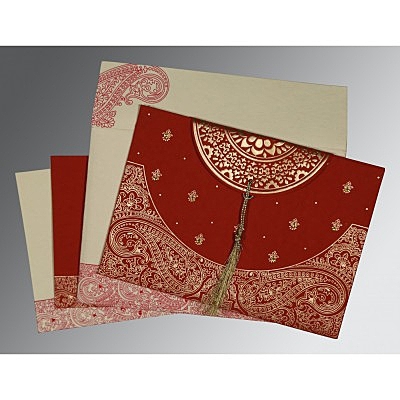 At Indianweddingcards.com, we specialize in designing and crafting the best Hindu Wedding Invitation Cards to highlight the lavish traditions of the wedding with heartfelt emotions. 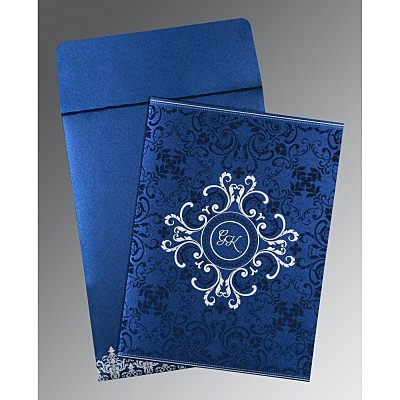 Embellished with Hindu religious symbols, all our Hindu cards symbolize the holy bonding, lively mood, glitter, love, happiness and fun of the matrimonial ceremony. 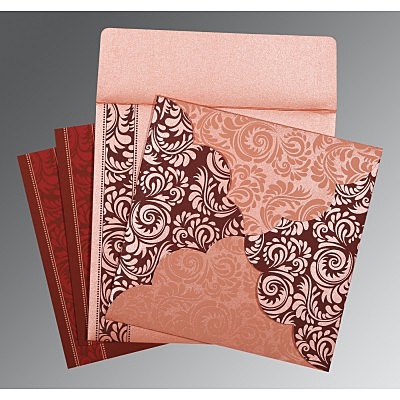 We have a broad range of colors, texture, designs, paper type and size in our collection, which assures that you will definitely find the perfect Wedding Card for yourself. 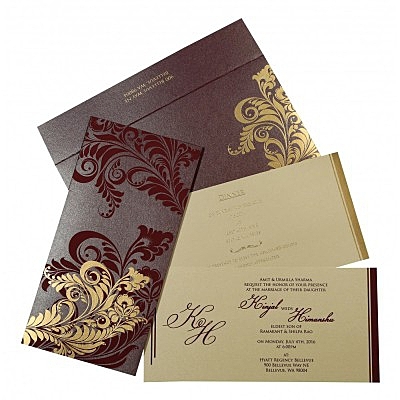 Other than this, we also have beautiful laser cut wedding invitations, scroll cards, designer cards, Indian Wedding Invitations and a lot more. 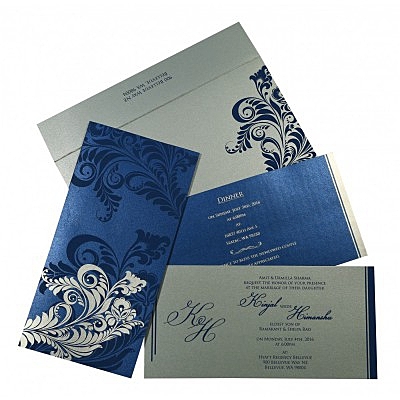 We are committed to offering the best services to all our customers. 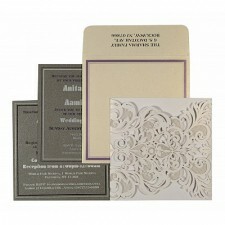 Thus, we also offer Add-on invitation cards like Thank You cards, RSVP cards and a lot more. 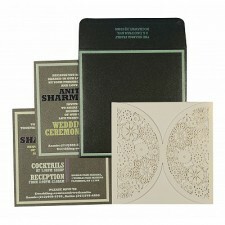 Every card has been aesthetically designed and crafted to display your love and affection for all your honored guests. 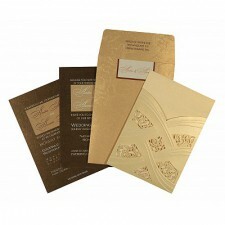 And to amaze you, we also have the unbelievable tool of customization, which lets you design your own dream wedding card. So, what are you waiting for? 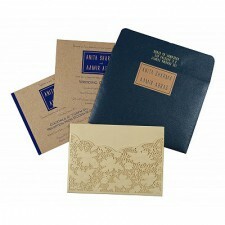 Start browsing through our wide range of Hindu Invitations, and find the perfect Wedding card for your marriage. For any further query on designs, customization or timely delivery, you can get in touch with our dedicated support team 24x7.